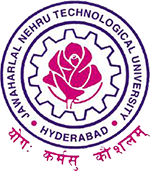 JNTUH B.Pharmacy 1-1 Sem (R17) 2nd Mid Exam Time Tables Dec 2018, jntu hyderabad I Year I Semester B.Tech B.Pharmacy R16 regulation II Mid Exams Time Table 2018. JNTU Hyderabad has announced B.Pharmacy 1-1 Semester (R17) 2nd Mid Examination Time Table December 2018. The following MID Examination time tables are announced.